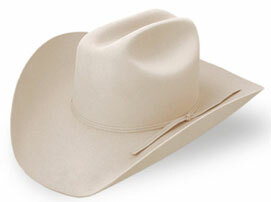 When Buying A Cowboy Hat, Make Sure It Fits Correctly. It's The Difference Between Years Of Enjoyment On Your Head or Simply Taking Up Space On A Hat Rack. So, What's Your Hat Size? Have Someone Else Measure Your Head For You Using A Cloth Tape Measure. Sit In Front Of A Mirror. Have Them Measure The Circumference Around The Widest Part Of Your Head, Just Above Your Ears And Eyebrows, To The Nearest 1/8 Of An Inch. The Tape Measure Should Fit Snugly Around Your Head. Regular Oval: Your Head Shape Is Oval. Your Hat Fits Snugly In The Front And Back And On The Sides. Long Oval: Your Head Shape Is A Longer Oval. Your Head In Narrower At The Sides. Round Oval: Your Head Shape Is Round. Your Head Wider At The Sides.